Best, Lightest Push Reel Mower: We are often asked what is the best and lightest push reel mower. Our answer has been the same for 15 years. It is the Brill Razorcut 38. The Brill Razorcut 38 weighs in at just under 17 pounds, making it the lightest mower available. The blades are flame hardened and are set to miss the bedknife by .05mm. 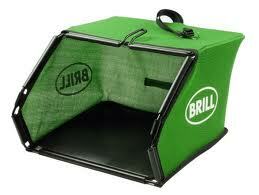 Brill Mowers: All Brill mowers come with a gap setting gauge. When your mower arrives you do not need to do anything but store the gauge with the manual. Each year before you begin mowing, use the gauge to reset the gap between the reel blades and the bedknife. 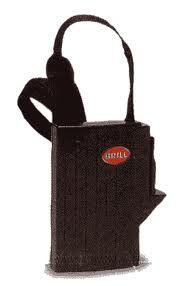 Brill Razorcut 33: Brill makes even a lighter mower with its Brill Razorcut 33. 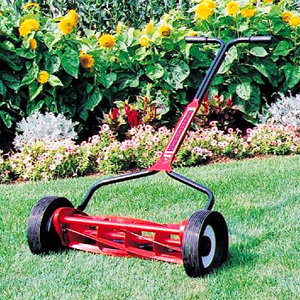 This mower is identical to the 38 but its blades are 33 cm. wide compared to the 38 cm. blades of the Razorcut 38. The Razorcut 33 weighs in at under 16 pounds. Weight Debate: There is some debate on which is easier to use, a light or heavy mower. I have used both. The cutting experience is different. A heavier mower, like the Fiskars Momentum, is better for cutting grass which is high. A lighter mower, like the Brill or NaturCut, is easier to use for maintaining your lawn. 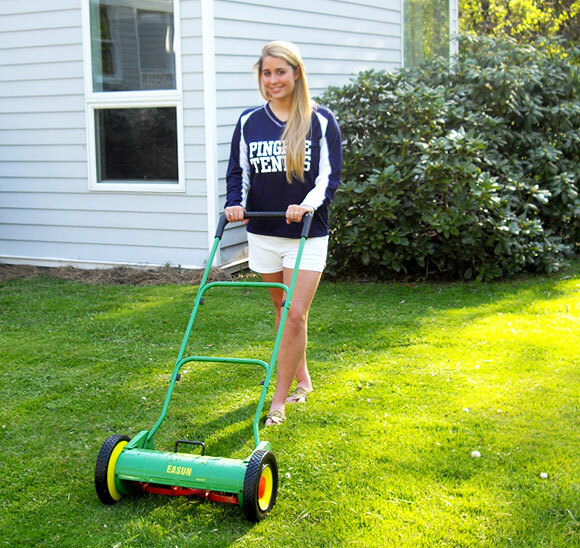 All Mowers: All mowers mentioned in this blog offer a grass catcher. 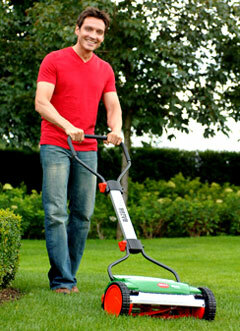 New Price: People Powered Machines has lowered its price on the popular NaturCut Ideal Lawn Mower. This reel mower is now for sale at $185.00. If you have been sitting on the fence, this is a great time to buy. NaturCut Ideal: The NaturCut Ideal cuts from .6″ to 2.75″ and mows a 16″ swath. It is powered with 10″ wheels and cuts with 5 flame hardened reel blades. The Ideal utilizes the non-contact cutting system which means the blades stay sharp much longer than mowers which use the contact cutting system. Estimated blade life for the Ideal is 8-10 years. 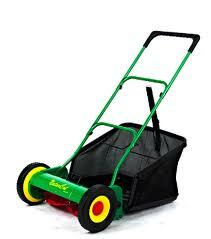 Two Year Warranty: The Ideal comes with a two year warranty and using a Grass Catcher is an option with this mower.